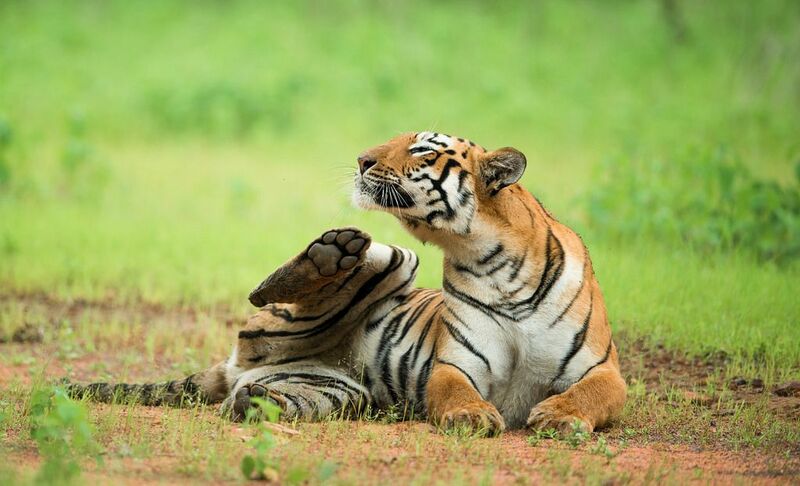 Just 100 kms from Nagpur, Maharastra, equidistant from Mumbai, Bangalore, & Delhi and just 400 kms from Hyderabad, lies an amazing Tiger Reserve with the best sighting record of recent times among all Indian tiger reserves. read below for further details on Tadoba Package. The name ‘Tadoba’ is the name of the God “Tadoba” or “Taru”, praised by the tribal people who live in the dense forests of the Tadoba and Andhari region, while the Andhari River that meanders through the forest. gives the ‘Andhari’ name. For complete details, read here. Day1: Pick up from Nagpur and transfer to Tadoba National Park in private AC car. Reach Resort and Check in and rest. After Lunch gear up and leave for first Wildlife Safari. Evening Back to Resort. Dinner. Lights off and day ends. Day 3: Early Morning wake up call, get ready and leave for Fourth Wildlife Safari with your breakfast packed to have it during safari. Post safari back to resort, Check Out luggage and leave for Nagpur by Private AC Vehicle.